vCenter Server actually has three different components which need their certificates updated, vCenter Server, vCenter Web Client Server and vCenter 5 Inventory Service. Initially I had only written the vCenter Server certificate steps but luckily Michael Webster (VCDX #66) keeps me on my toes and I’ve now added parts for the other two components. You should have now created the default vCenter 5 server certificate files, replaced the default vCenter 5 Server certificate, replaced the vCenter 5 Web Client Server certificate and can now go ahead and replace the vCenter 5 Inventory Service Certificate with the same new certificate files you have created. 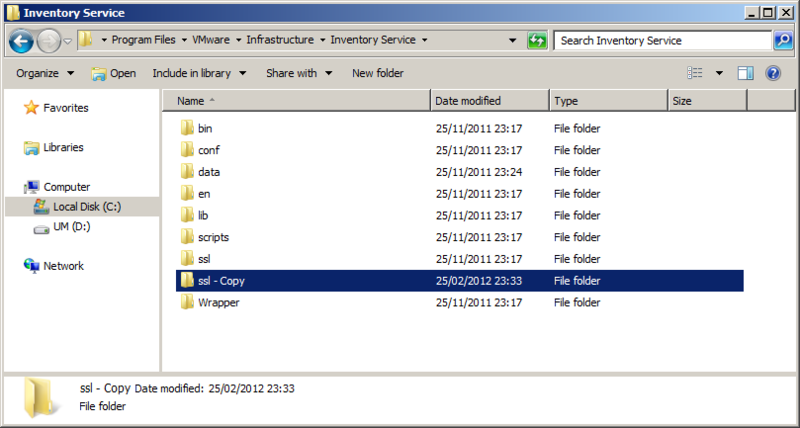 On the vCenter Server navigate to C:\Program Files\VMware\Infrastructure\Inventory Service\ssl. 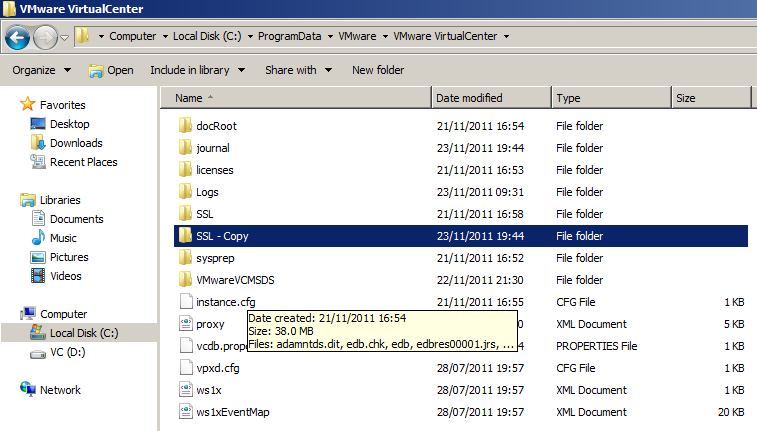 Make a backup copy of the SSL folder. You should have now created the default vCenter 5 server certificate files, replaced the default vCenter 5 Server certificate and can now go ahead and replace the vCenter 5 Web Client Server Certificate with the same new certificate files you have created. 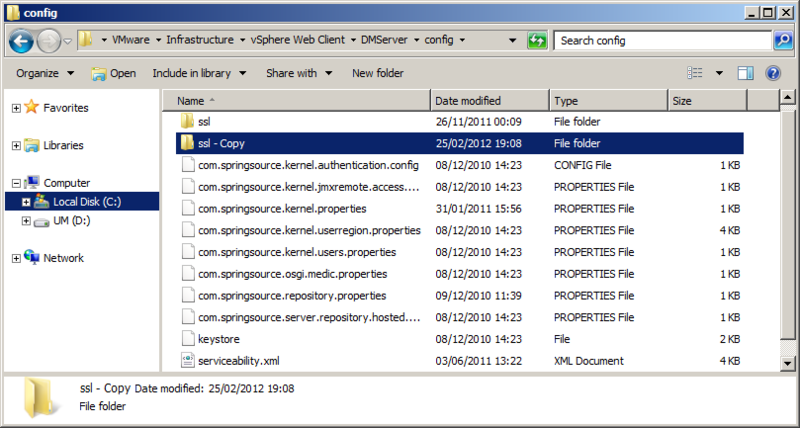 On the vCenter Server navigate to C:\Program Files\VMware\Infrastructure\vSphere Web Client\DMServer\config\. You should have now created the default vCenter 5 server certificate files and can now go ahead and replace the existing certificate for vCenter 5 Server with the new certificate files you have created. 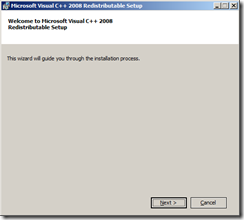 On the vCenter Server navigate to C:\ProgramData\VMware\VMware VirtualCenter. VMware Update Manager uses a different self-signed certificate to authenticate against vCenter Server which also needs to be replaced. You can use the same vCenter certificate if the Update Manager installation is on the same server as vCenter or create and trust a new certificate using the same procedure with the Update Manager server name if it is on another server. 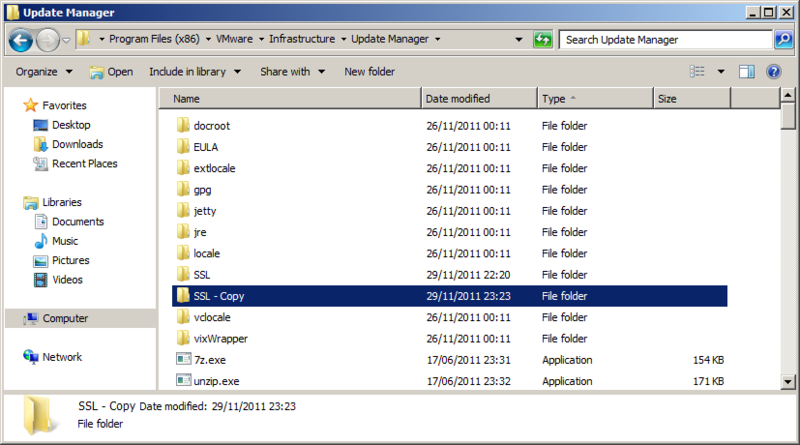 On the Update Manager Server navigate to the Update Manager installation directory C:\Program Files (x86)\VMware\Infrastructure\Update Manager. 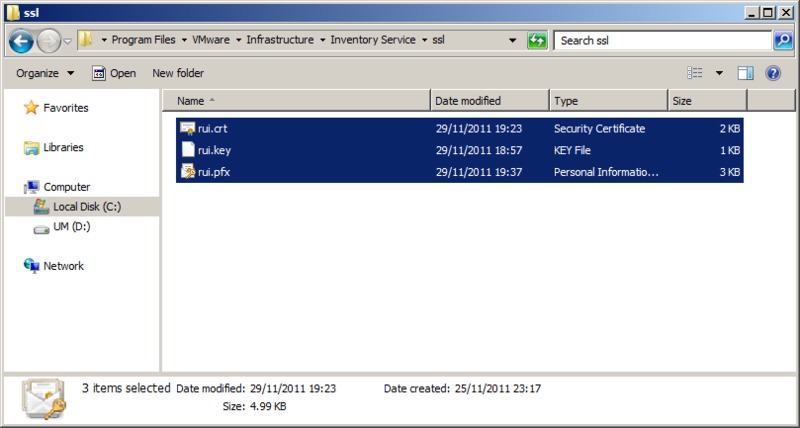 Copy the same rui.crt, rui.key and rui.pfx certificate files you created as part of the vCenter Server certificate process into the SSL folder if Update Manager is on the same server else use the other ones you have created. 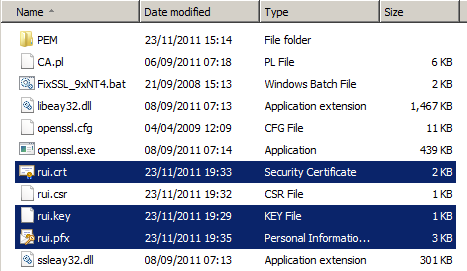 Once you have installed the Root Certificate Authority (CA) you may need to distribute the root certificate to clients. 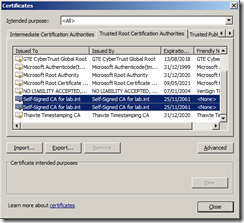 The root CA certificate needs to be in the Trusted Root Certification Authorities certificate store on all clients who need to access vCenter for the certificate trust chain to work. 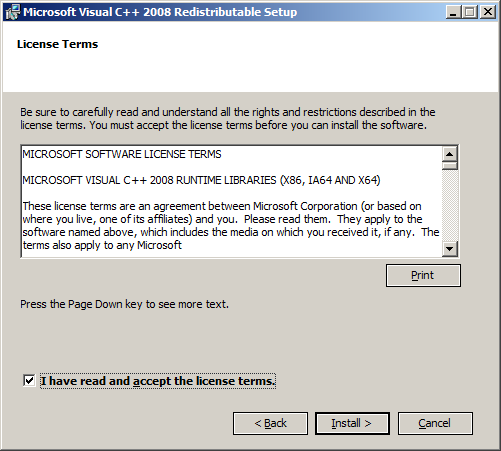 If you are not using your own root CA and have used a commercial root CA this certificate is most likely already in your certificate store. If the root CA is installed using Active Directory Certificate Services on a server that has access to the Active Directory directory service, the root authority’s certificate will automatically be placed in all users’ Trusted Root Certification Authorities certificate store. 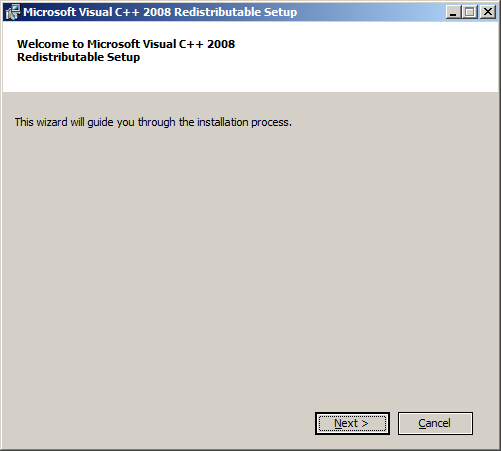 This means the distribution of the root CA is taken care of by AD and there’s nothing more you need to do. 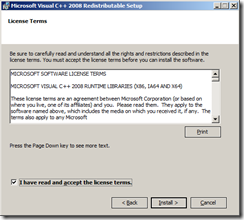 As I have installed Active Directory Certificate Service on a domain controller with Domain Admin credentials this distribution has taken place. 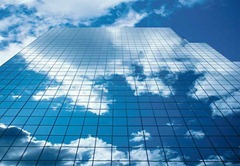 You can check this by going to any server or workstation within the trusted domain forest and after doing a reboot just to ensure the certificate has had time to be copied down check the Trusted Root Certification Authorities list and see if there are certificates in the list for your own CA. 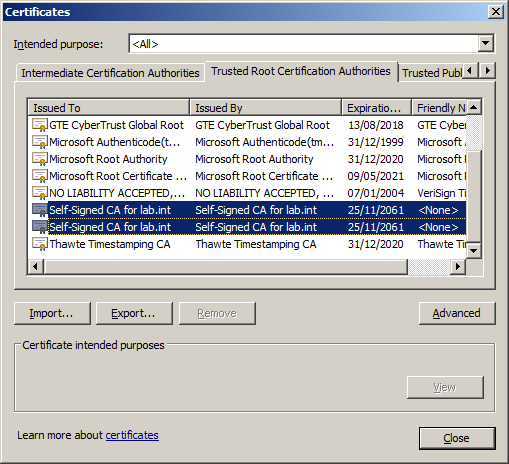 In my example you can see that there are two Self-Signed for lab.int certificates in the list so the deployment has been successful.